And I’ve come from Paradise. Illustrations by Jean Cocteau, 1912.Le Spectre de la rose is a short ballet about a young girl who dreams of dancing with the spirit of a souvenir rose from her first ball. 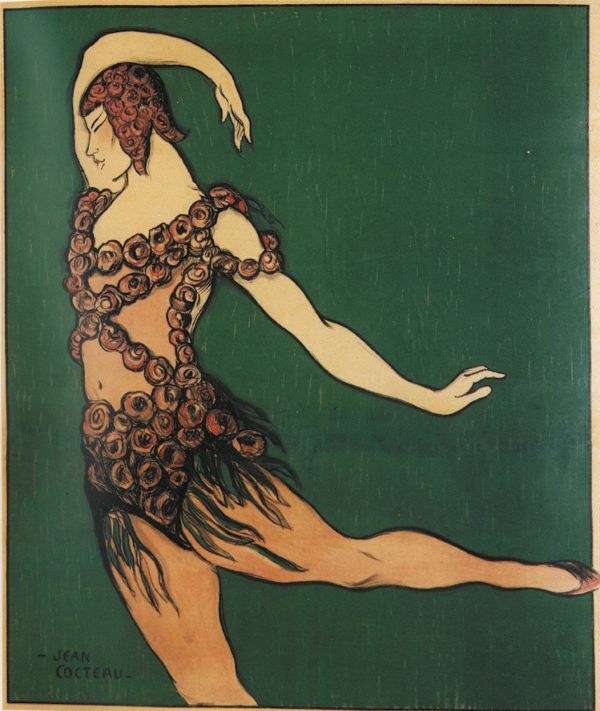 In 1911, Ballet Russes producer Sergei Diaghilev hoped to present Vaslav Nijinsky‘s ballet L’Après-midi d’un faune. It was not ready for the stage, so he needed another ballet to take its place. That ballet was the idea of writer Jean-Louis Vaudoyer. 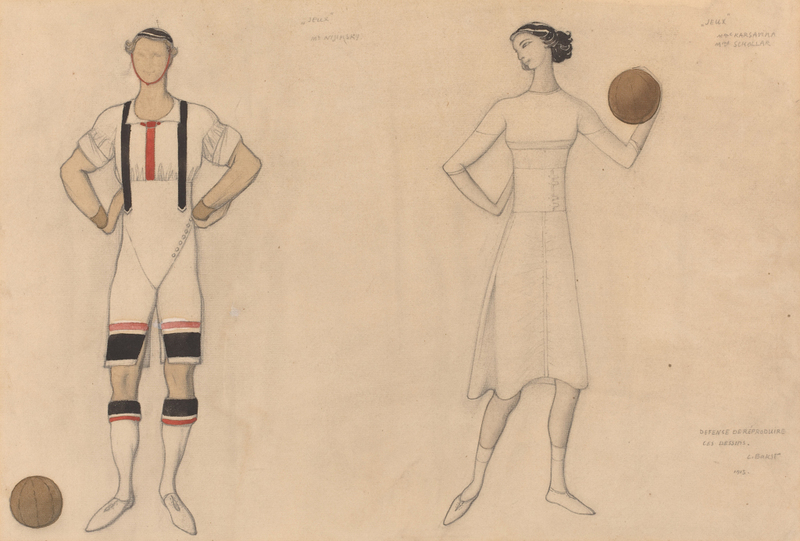 In 1910, he had sent an idea for a ballet to Ballets Russes set and costume designer Léon Bakst. His idea was based on Le Spectre de la rose, a verse by Théophile Gautier, and Afforderung zum Tanz (Invitation to the Dance), a work for piano by Carl Maria von Weber. Diaghilev liked Vaudoyer’s idea. He thought it could easily take the place of Faune. He put Vaudoyer’s idea into development at once. Diaghilev liked the idea of a ballet based on Gautier’s Spectre because it could be tied to the centennial of Gautier’s birth. Michel Fokine choreographed the ballet to the music of Carl Maria von Weber’s piano piece as orchestrated by Hector Berlioz in 1841. The little ballet became one of the most loved productions of the Ballets Russes. 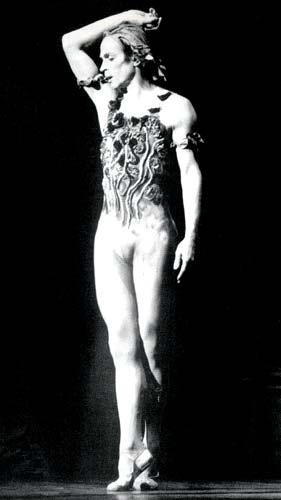 Nijinsky’s silk elastic costume was covered with silk rose petals. Nijinsky was stitched into the costume for every show. After every show, the wardrobe mistress would touch up the petals with her curling iron. 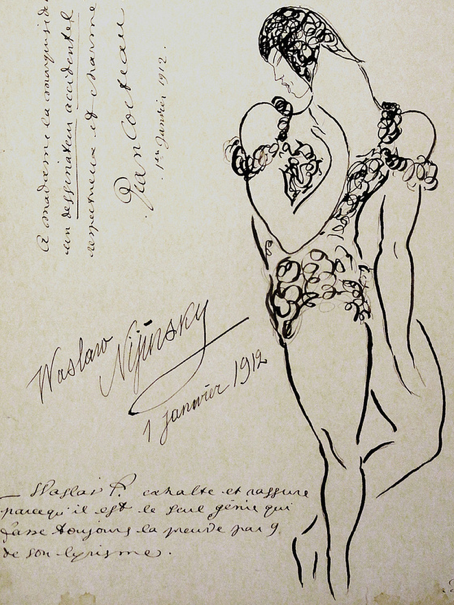 Nijinsky’s make-up was an important part of the costume design. Romula de Pulszky, later to be his wife, wrote that he looked like “a celestial insect, his eyebrows suggesting some beautiful beetle”. 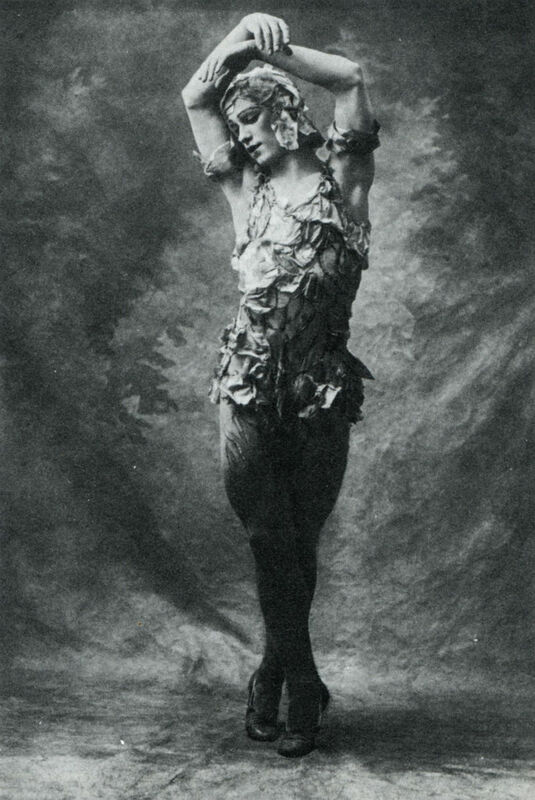 Peter Ostwald writes that Nijinsky’s costume was like a ballerina’s. Sometimes, petals would become loose and fall to the stage floor. Nijinsky’s servant Vasili would collect the petals and sell them as souvenirs. It was said that he built a large house called Le Château du Spectre de la Rose with the profits from the sale of the petals. The ballet was first presented in Monte Carlo on 19 April 1911. 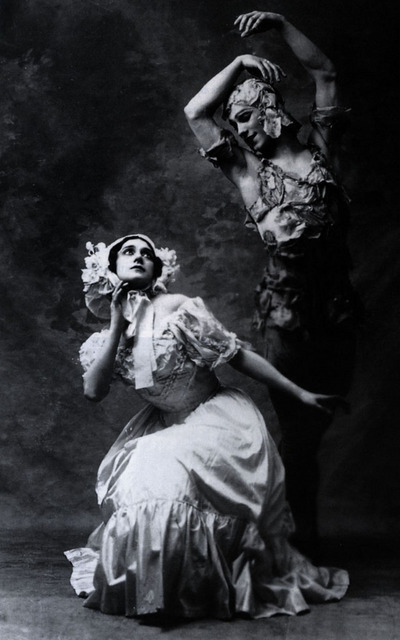 Nijinsky danced The Rose and Tamara Karsavina danced The Young Girl. It was a great success. Spectre became internationally famous for the spectacular leap Nijinsky made through a window at the ballet’s end. 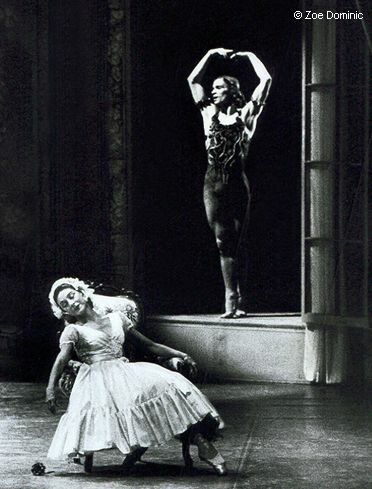 Many dancers have attempted to match Nijinsky as The Rose, but have failed. 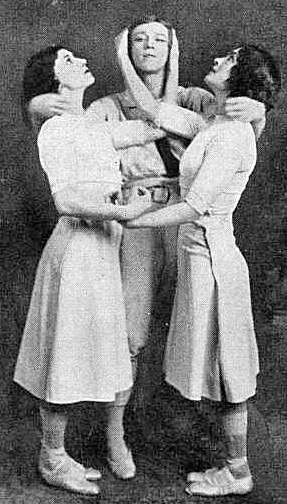 After all, the ballet had been designed for Nijinsky’s very special talents. It was one of the first ballets Rudolph Nureyev danced in the West after leaving Russia. This was for German television in 1961. He first danced The Rose on stage (24 times) in New York City for the Joffrey Ballet’s Diaghilev program in 1979. Spectre de la Rose was the last ballet Nureyev and Margot Fonteyn danced together. That was in June 1979, when the ballerina was 60. He danced The Rose in Paris in 1981 and 1982, and last danced the part in August 1987 at the London Coliseum with the Nancy Ballet.